When I needed a tree surgeon in Milton Keynes, my friends recommended MK Tree Surgeons, who have been marvellous. We don’t live there of course, but my father does and we take care of the jobs he needs doing. But sometimes garden jobs are too big and tree removal is one of those that I don’t intend to do myself! So we called in the tree experts and got them to trim the big oak that grows at the bottom of Dad’s garden and to remove an old, overgrown apple tree. Always seems a shame to take a tree out altogether, but this one was well past its best and wouldn’t have lasted another year. So we decided to bite the bullet and get both jobs done at the same time. In face we trebled up because it seemed pointless trimming the big yew hedge ourselves when the tree surgeons were well equipped to do that too! That yew hedge must have been around a very long time. It’s pretty tall and just looks as though it’s seen a few things in its lifetime. It happens to be one of those annual jobs that I dread. I have a good hedge trimmer, but it’s still hard work and near on impossible to finish up with straight lines. How those tree guys ended up with such a neat job I’ll never know. Now it’s all set and ready for the birds to nest and it’s pretty thick so provides quite a bit of shelter for them. The other job was stump removal, which always seems like a small job but requires some stout machinery and not a little expertise. The tree in question was and old ash tree, felled some years ago. Unfortunately ash keeps sprouting from the old trunk so we’ve had to keep removing the new branches – which tend to grow straight up towards the sky. So the best solution was to have the stump removed altogether, which stops it growing of course. The guys did a sterling job of getting rid of the entire stump, then back-filled the hole and finished off with some grass seed. I’m very pleased with all the work they’ve done in the garden and surprised that it didn’t cost as much as expected – certainly not worth doing all that work myself! I only just got started the other day about some of the disadvantages of the EU to us in the UK. And it got me thinking. I was reading about another local company – Reidsteel in Christchurch. They have a completely different view of the EU and its effect on their business. They want us to leave because they are hampered by red tape – brought about by Brussels. They claim to be bound up with poorly thought-out directives and rules and to be altogether over-regulated by the EU. They also make the point that these are brought about by unelected commissioners and beaurocrats. Well said Simon Boyd of Reidsteel. Simon also happens to be the chairman of Business for Britain South West, so he’s speaking for many of our smaller local businesses, not just his own. Meanwhile Barclays chief executive said he believed staying in would be advantageous for their “consumers and corporate clients.” Consumers? Who is he talking about? Customers? Clients? I’ve never heard bank customers referred to as “consumers” but maybe that’s because yet another American is in charge of the bank. And “corporate clients” refers to big businesses presumably, not the local, backbone-of-Britain, smaller businesses that could thrive under less red tape. And another thing that has sprung to mind. Although we’re not part of the Euro (thank goodness for that anyway), it’s an integral part of the European Union. And it appears to be falling apart. It was always a mad idea to try to tie strong economies like Germany to very weak and flaky economies like Greece – and quite a few others. But the Euro has tied them altogether and it’s only a matter of time before the whole pack of cards comes tumbling down. And if we’re part of the EU it is bound to have an impact on the UK isn’t it? We already lost £billions when we were forced to exit to Exchange Rate Mechanism back in 1992. Some of us have long memories but don’t as a nation ever learn? 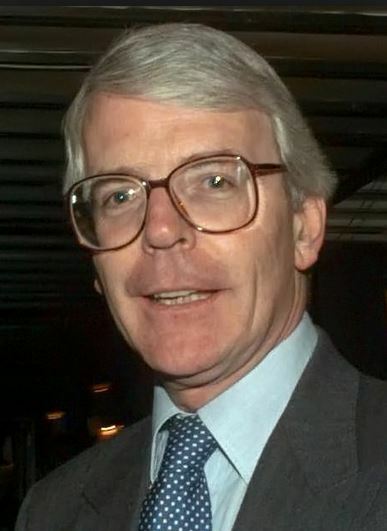 John Major doesn’t anyway – he wants to stay in the EU. But thankfully Norman Lamont, who was Chancellor at the time of Black Wednesday, is in the Out camp. The In – Out argument continues, but I’m sure you’re not surprised to hear that I’ve already made up my mind…. Very interesting to re-read this blog I wrote in February 2016. Hmmm – not sure much has changed – judge for yourself. Well this subject deserves a whole website of its own – but I shall try to be restrained. Well I’m currently in the Out camp, unless someone can persuade me otherwise. But I see that Barclays and Sunseeker – those expensive yachts – are declaring themselves in favour of staying in the EU. Not surprised at Barclays. I used to work for them back in the day, and wouldn’t trust them as far as I can see them. And only yesterday they declared a big drop in profits, so they know what they’re talking about don’t they? But disappointed in Sunseeker because they’re a respected brand in Poole and Dorset generally. But they’re now owned by a Chinese billionaire. When asked his opinion, he apparently remarked that it was only his opinion but he didn’t think the UK would leave the EU. Now there’s a challenge! We Brits don’t like being told what to do by the EU – and we don’t like being told what to do by Chinese billionaires either. Now I’m sure there are lots of reasons why it would be better to stay in the EU – can’t think of many but I can see that exporters who concentrate on Europe might want to be in. But I can think of a whole lot more reasons why we’d want to leave. For a start, there’s a matter of our net annual contribution of about £8.5billion. That’s billion with a B! On the subject of budget, our national debt is staggering. It’s £1.5 trillion (with a T). If I’ve calculated it correctly (and I may not have because it’s a lot of 000s), then I reckon we could use that £8.5 billion to pay down the debt. At that rate it would take over 176 years – and that’s without interest! Oh dear, oh dear. But back to the EU, because it’s just not going to go away is it? Next issue, in my book, is immigration. I don’t think anyone minds helping out refugees, especially since The West caused much of the misery in Syria. But most of the so-called refugees seem to be economic migrants – and we just can’t afford to support them all. Angela Mercel is to blame, in my opinion, for much of the huge influx, since she invited them. So unfortunately they’re going to drown the EU. So let’s not let them take the UK down with them. People are flooding into Turkey, then to Greece, and they just can’t cope. Nor could any country. Some of the EU nations are closing their borders. The whole EU is shutting down, becoming a region of turmoil. So why would be choose to be part of that? Once they’re granted entrance to Europe aren’t a lot of them going to head to the UK? And how are we going to be able to afford that? Then there’s the federalisation of Europe and our growing lack of control over our own laws. Do we really want to be legislated by the Eurocrats and told what we can and can’t do? What our courts should do and how our laws should be interpreted or changed? Well I don’t think so. It goes on and on ……. and here’s where the anarchist in me starts to show. We have to stand up to these EU bullies and I’m pleased to see how many Tory politicians are coming out on the side of common sense. Call-me-Dave is showing his true colours, even though he claimed at first to be open-minded. He’s obviously a Europhile and I don’t think he’s objective at all. I might feel differently if he’d come back from his talks with some real concessions. But I’ve yet to find anyone who thinks they made a scrap of difference. Please don’t treat us as fools Dave! I’ve been absent from my blog for a week thanks to visiting cousins in the West Midlands. It’s a nice place, they call it a town in the country I believe. Anyway I’ve been helping said cousin with his garden, which needed some TLC since nothing had been cleared from the autumn. First thing we tackled was hedge cutting in Solihull, for which we enlisted the help of a couple of Solihull tree surgeons. The guys were very helpful and we managed to get the work done before the bird nesting season, which would have necessitated waiting until after spring to tackle the job! 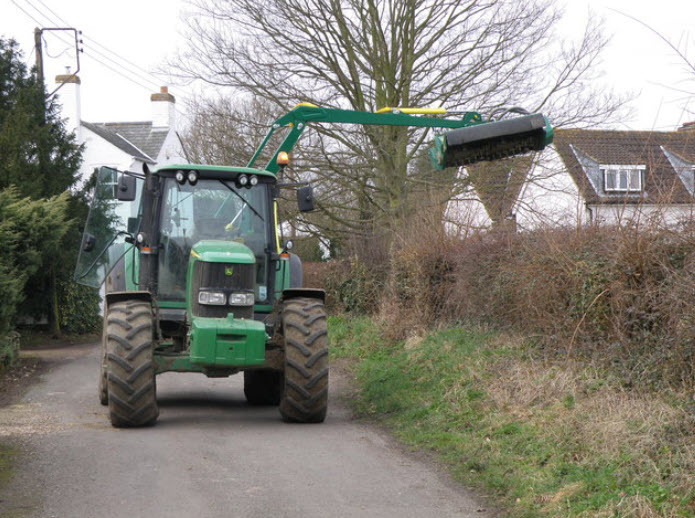 The guys were very efficient and we ended up with a lovely neat hedge. While they were there, the tree surgeons tackled a few of the trees that needed some attention, pruning the apple trees and removing some branches from the oak. It took a day for them to finish but was well worth it because it left the garden looking a lot neater. Along with the hedge trimming work, we also tackled overgrown shrubs that needed trimming back and tidying up. It’s surprising what a difference it makes when you cut back a few untamed bushes. Then we cleared some brambles from around the paddock and reclaimed some of the grass to give the ponies more room to roam. The other major chore was to empty the patio pots, which had been left at the end of the summer. That guy has more pots than I could count! We emptied them all into wheelbarrows and dumped the lot on the compost heap. Not much will survive into the spring – certainly not now! But we did leave a few hardy fuscias to take their chances about coming through again. Sometimes it’s surprising and they just spring up when you thought they were completely dead – and I don’t know how they survive months without water, but they must be pretty hardy. So once that little job was done, we had a huge pile of pots and empty hanging baskets, just waiting to be refilled later in the year. The whole garden looked a bit bare but it’s now ready to go into spring and start the whole growing process over again. Looking forward to seeing everything in bloom when we visit for the annual barbecue in the summer. So that was how we spent a few days, then had to go back home for a rest. Why on earth do people drop litter? This is a photo from the Bournemouth Echo today (12.2.16). Rubbish – literally. Makes my blood boil because it’s so unnecessary. But thankfully the Council (who certainly get a share of my wrath on a regular basis) have done something positive about this horrible problem. They’ve brought in some “private enforcement officers” to look for people littering and they’ve fined 290 so far in just 3 months. Now multiple that across the country and you’ve got an enormous litter blight. So these private guys have done quite well and issued 20 times more fines than happened this time last year. The fine is £75 – the same as for dog fouling (don’t get me started on that). The Council doesn’t make any money from fines but they don’t have to pay the enforcement company either. The company just keeps the fines. So by my reckoning they’ve made £21,750 in 3 months. 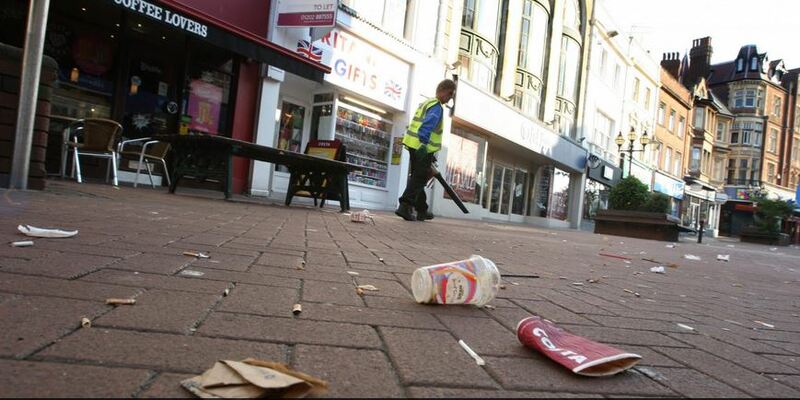 There are 5 litter officers so that’s £4,350 each, which is £1,450 per enforcer per month. That’s not a whole lot, but they may be part-time and I suspect the income will pick up considerably in the summer when all the messy tourists alight on Bournemouth. Probably quite a nice little earner. Let’s hope it proves a deterrent to those who can’t be bothered to drop their rubbish in the nearest bin. The other thing that caught my eye today is that Bournemouth Magistrates Court is closing by the end of the year. Now I agree the building would be better demolished as it’s a monstrosity, but we certainly need to keep a court in Bournemouth. They’re also closing the one in Dorchester, so the only magistrates courts in the whole of Dorset will now be in Poole and Weymouth – not many for such a big county. And don’t they say the prisons are overcrowded? Doesn’t that mean more cases are being heard? So doesn’t that mean we need more courts, not fewer? Recreated from my post of 31st January 2016. Can’t believe this happened 3 years ago! 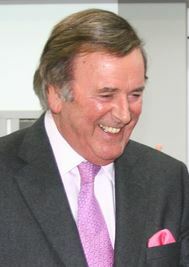 I wasn’t planning to post as it’s Sunday, but one of my heroes, Sir Terry Wogan, died today and I wanted to say thank you Terry and RIP. We used to love watching Eurovision when Terry was at the helm. Such a ridiculous show but his acerbic wit made it eminently watchable. And we’ve missed his radio show but loved seeing him make his annual appearance for Children in Need. Sleep well Terry – one of the good guys and you’ll be sadly missed. Ok so I’m not the world’s most savvy when it comes to writing blogs. In fact my previous blog got deleted somehow, but happily I kept a record of what was written so I’m going to recreate it here! It’s only because I’m lazy and don’t relish the idea of losing all the time I spent back when it was written. Of course some of it will be out of date but I’ll catch up with myself at some stage and stop moaning to tell you about my landscaping life and how I’ve changed from that grumpy old man.